Traditionally the highly nutritious millets formed a substantial part of the diets and the cropping system in the tribal areas of Odisha. Millets require less water and are more resilient to climate vulnerability. They are also cultivable in undulating terrain. Paddy gaining prominence in the Public Distribution System (PDS) has resulted in reduced consumption of millets, resulting in extreme cases of nutritional deficiency. It has also led to unsustainable cropping systems increasing the demand for water. Millets are the answer to address both increased crop failures and nutritional deficiency and need to be revived. More resilient to climate vulnerabilities and droughts. Can be cultivated under rainfed situations across the state i.e. "without additional demand on irrigation". Buoyant prices following increasing consumer demand. Potential for tribal and rainfed areas becoming millet-hubs and lead the grain economy. 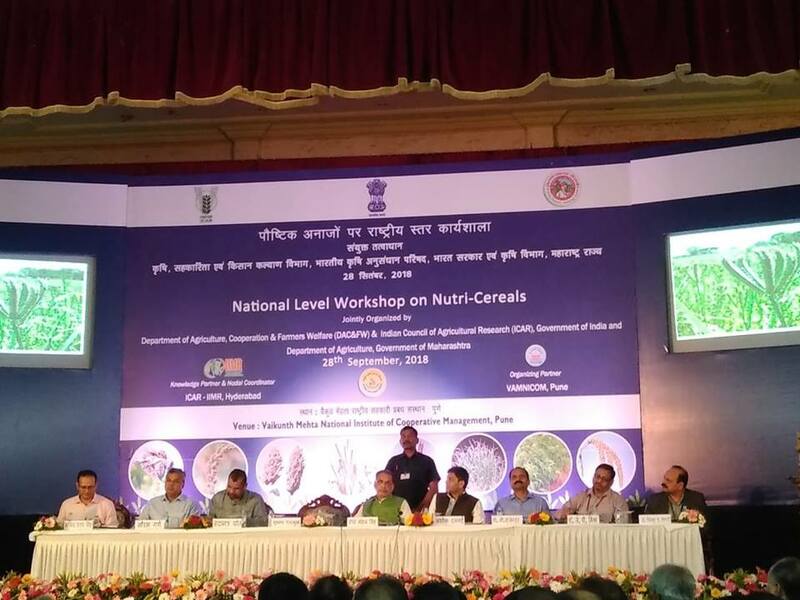 The National Mission on Nutri Cereals was launched during the National Workshop on Nutri Cereals at Pune on 28th September 2018. It was launched by Shri Radha Mohan Singh, Agriculture Minister, GoI.